​I sing with gusto when it’s one of my favorite worship songs. Standing in semi-darkness, spotlights bathing the stage, the worship band drawing me into the mood, it is easy to give thanks to God in such an atmosphere. Drums, guitars, and the worship leader breaking into song, all invite me to join them in praise. Voices rise around me, and my heart warms. I give my best to God on these occasions. ​David wrote Psalm 138 as an expression of thanksgiving to God. I imagine David sang this Psalm in the presence of other worshippers. They too would have been encouraged to give gratitude to Yahweh for his goodness. Yet, the opening verse of this Psalm implies there is more to giving thanks than a warm, fuzzy feeling, or singing praise to God in the vicinity of the temple or at church. ​Giving thanks requires our whole hearts. ​The Bible describes the heart as the center of our being; the inner most place deep within us. (Psalm 103:1) And, Proverbs 4:23 reminds us everything flows from the heart. The heart is the source of our words, our thoughts and our actions. So, if we have thankful hearts, then gratitude is evident in what we say, how we think, and what we do. This is where I have to pause and consider the condition of my heart. Often my thoughts are negative and not positive, my words are filled with grumbling instead of appreciation, and my deeds are selfish instead of generous. 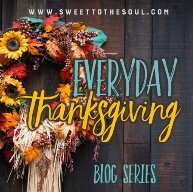 When we look at David’s life, particularly during his time with Saul, we can learn a lot about what a thankful heart, and an unthankful heart, looks like. David trusted God and thanked him for his successes. (Psalm 138:7) Saul, on the other hand, should have given thanks to God for David’s successes over Goliath and the Philistines. Instead, Saul let envy flood his heart. He thought of David as a threat. And so we should nurture admiration in our hearts for God and others, expressing thanks for other people’s successes. David loyally served God and Saul. Yet, Saul attempted to kill David. Saul let jealous thoughts become destructive behavior. Our behavior is unlikely to be drastic as Saul’s. Nevertheless, we should still nurture love for God and others in our hearts, so people can depend on our actions. David did not speak badly of Saul. Saul, however, uttered death threats about David to his attendants and to his son, Jonathan. Even so, Jonathan, in the midst of fear and uncertainty, boldly spoke well of David to his father. 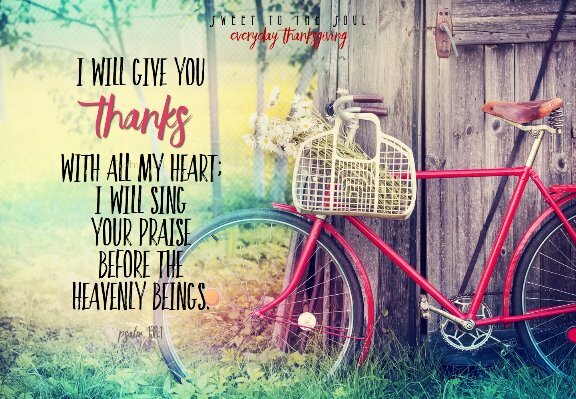 ​A thankful heart thinks appreciatively, acts honorably, and speaks boldly before God and in front of other people, so they know God is worthy of praise. Giving thanks needs to be a habit of the heart. Lord, today, give me a heart that is thankful. Amen. 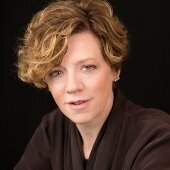 ​I am a British-born blogger, author, and speaker living in America. I am passionate about helping you become healthier in your relationship with God, with others, and with yourself. Our aim–to thrive gracefully from the inside out. They say you need to do something for at least two consecutive weeks for it to become a habit. You think it would be easy for me to, every morning, thank God that I am alive and can get out of bed. I've been trying to do that in an effort to start the day on a thankful note. Sadly, I haven't yet succeeded, but I'm trying. Being thankful takes practice, and like you said it's not always said in a warm fuzzy moment. Joining with you in trying to cultivate an attitude of gratitude.